Good. Except SF wouldn't even have swag. BLD2018-04819 Disney - BOH - Frontierland - (2) Electrical subpanel upgrades from 400 amps to 600 amps located in Winnie The Pooh Basement and adjacent (North) of gate 5. BLD2018-04837 Disney - East Entry Esplanade - Screening Tents - Demolition: 110 sq.ft existing built up kiosk and landscaping. I would have to guess they are getting rid of this 1999 structure, a "Guest Information" kiosk in the middle of the entrance complex, which is now just a quaint nod to yesteryear and a time long since past when you didn't have to be patted down and go through metal detectors and have your purse rummaged through by a $15 an hour security geek and treated as if you were an Al Queda Sleeper Cell before entering Disneyland. You want information? We don't do that anymore, just check your iPhone instead and spread 'em lady, or else you ain't getting in! This was updated: Disneyland - SW - DL Frontierland Expansion - Bldg 10010 - Tenant Improvement: Show set Pre-fabricated Cargo Ship anchored to roof of existing facility. The fact that SWGE is referred to as a Frontierland Expansion makes me so happy. Even more so, the Golden State Expansion from an earlier update, referring to a land that no longer exists! BLD2018-05051 Disney - East Entry Esplanade / Security Check Point - Tenant Improvement: 4,800 sq.ft of pre-fabricated open air shade structure with electrical and metal fencing gate. So I guess Disney has decided to build a more permanent structure for the eastern side for now. I wonder if that will change now that things last night went more favorably for them, EGW could be back on the table by next spring. More permanent? It’s still a pre-fab structure. So it might just be a different configuration from what’s there now. Right now they just have those temporary tents right. So I envision this as an actual structure rather than more of the same temporary tents. I doubt it, too many other issues for the city council to deal with. Maybe a year from now, if we are lucky. Also, Measure L is still in play. Well yes maybe the first half of 2019 is too ambitious, so second half would be good with construction starting in early 2020. BLD2018-05237 Disney - Fantasyland / Sleeping Beauty Castle - Reroof: Tear off existing material, replace with fibre reinforced plastic located on existing turrets only. BLD2018-05238 Disney - Fantasyland / Sleeping Beauty Castle -Reroof: 2,200 sq.ft Tear off existing material and replace with composition shingles located Sleeping beauty Castle and Holiday Shoppe Roof only. Repairing the roofing finally. So after the holidays we'll be seeing a new roof installed. Yay! Wow! It's taken them two years to budget this! That's insane. For those who don't remember, when they went to remove the diamond roof covers from the 60th Celebration to put up the snow roofs they found the temporary covers had damaged the real roof. Would that have been September 2016? After holiday, as a stop-gap they had to repair the diamond roof sections that had been damaged during removal (they weren't planned to ever be reinstalled) and put them back up. I don't know if it took two years to budget it, but it has taken two years to actually fix it. I assume it was something they felt wasn't as important as other fixes, since the diamond roof looked presentable, so the can got kicked down the road. And for some reason I vaguely remember a discussion about how Splash had a cost overrun during one of its recent refurbs. And that the budget to fix the castle went into that instead, so again it got kicked down the road. Thank you, I always appreciate when folks recall what happened and when. I had forgotten those details, but remember that drama now. That said, I must be the only one who doesn't notice the Castle roofs are in bad shape, or the wrong color tone. It looks good to me whenever I walk past it or through it. But I'm glad they are taking care of it for the long term. Likely there's a bunch of aesthetic stuff like this they will be doing parkwide this winter to get ready for Summer '19 and all the media attention. It still baffles me that more than half the time I ride Splash Mountain, the boat with the dog in it doesn't spin, and brer rabbit on the handcar doesn't move. 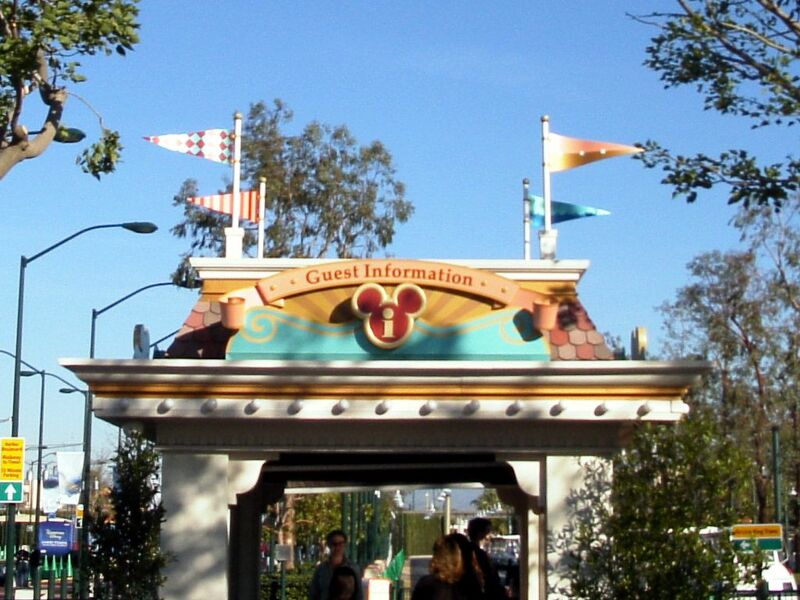 Its what happens when you have a 30+ year old attraction and newer CAL/OSHA regulations. Hopefully the recent refurb fixed a lot of the fall protection stuff that will allow them to keep the AAs running better.